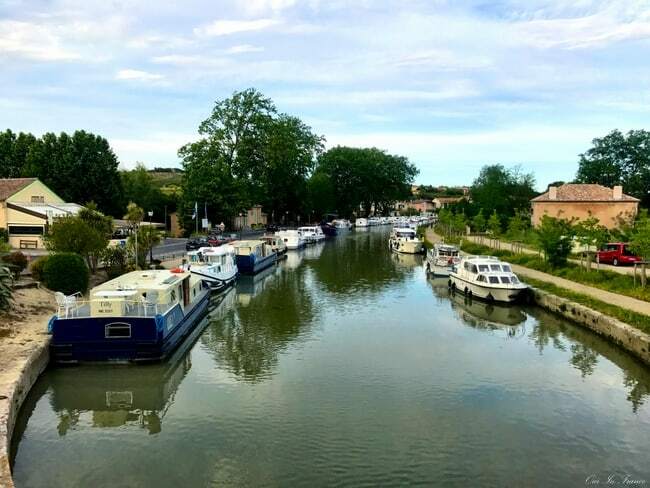 For some, the best part of a France canal cruise is the boating experience itself, and for others, it’s the places you stop at along the way. For me, I think I enjoyed the canal cruising part just as much as the towns we visited on our route from The Camargue to the Canal du Midi. 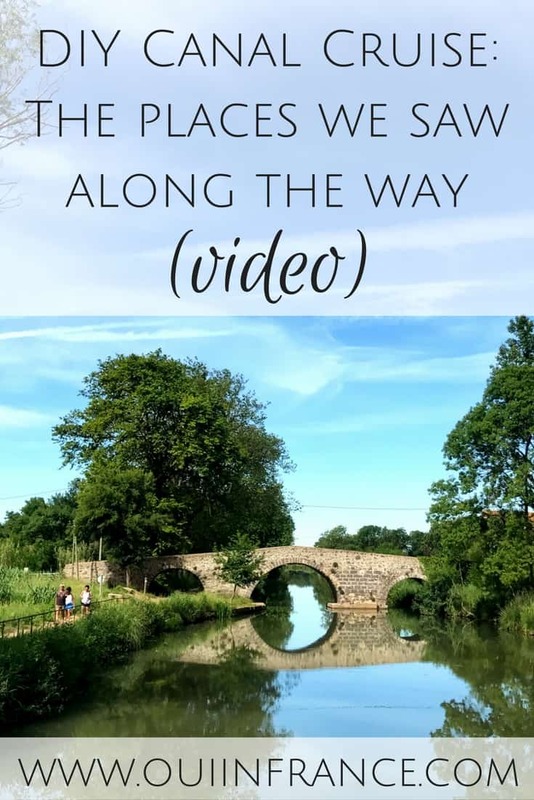 Here’s where we went on our France canal cruise and what we saw! 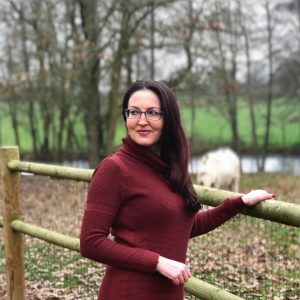 In case you missed my first post, click here to read an overview of our entire self-piloted canal boat trip! 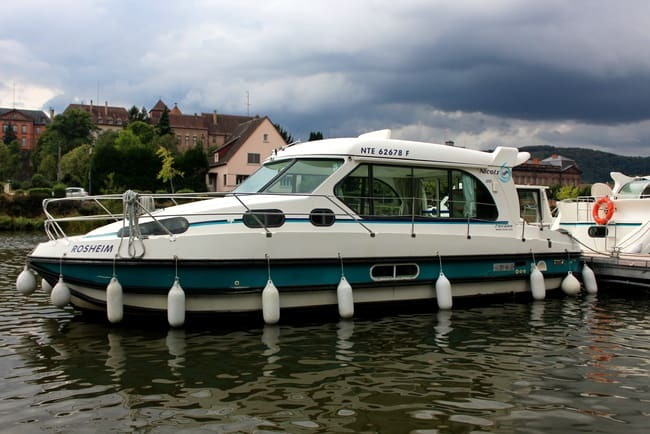 Will you be able to handle the boat as a total beginner? I wrote about that too. Our trip aboard a Nicols canal boat from The Camargue to the Canal du Midi went east to west. We started in Aigues-Mortes and ended up in Le Somail. Check out the map below for a visual. 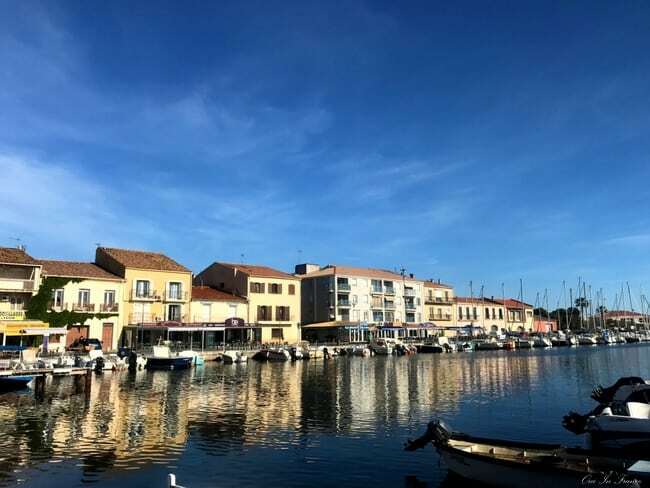 For your viewing pleasure, check out this video I put together of our trip showing what a self-drive canal boating trip is like from The Camargue to the Canal du Midi. 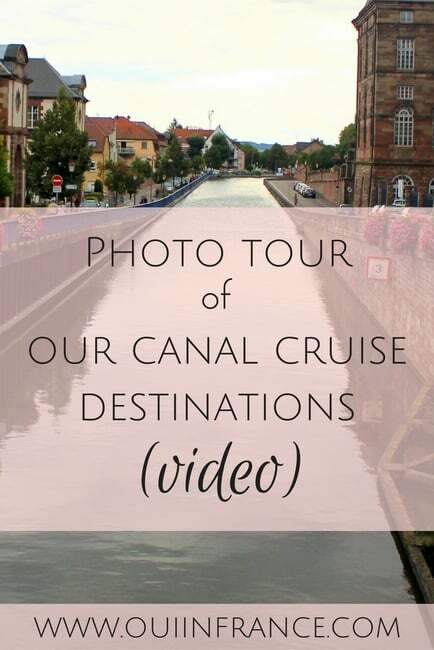 Hit the settings and make sure you’re watching my Canal Cruise Canal du Midi video in 1080p. Don’t forget to “like” and subscribe! This charming fortified town was where our trip started. King Louis built the town in the 13th century so France could have a Mediterranean port. The Tower of Constance is the town’s most notable monument and was used to hold prisoners, but today it’s the tourism office. Aigues-Mortes is also home to one of the best dinners we had on the trip — with impeccable service. If you’re in the area, head over to Le Bistrot Paiou for a meal you’re not soon to forget. It was a bit of a hike to walk into town from where we were docked, but the seaside resort town of Palavas-les-Flots didn’t disappoint. You can lounge around on the beach or shop in the town’s numerous boutiques. 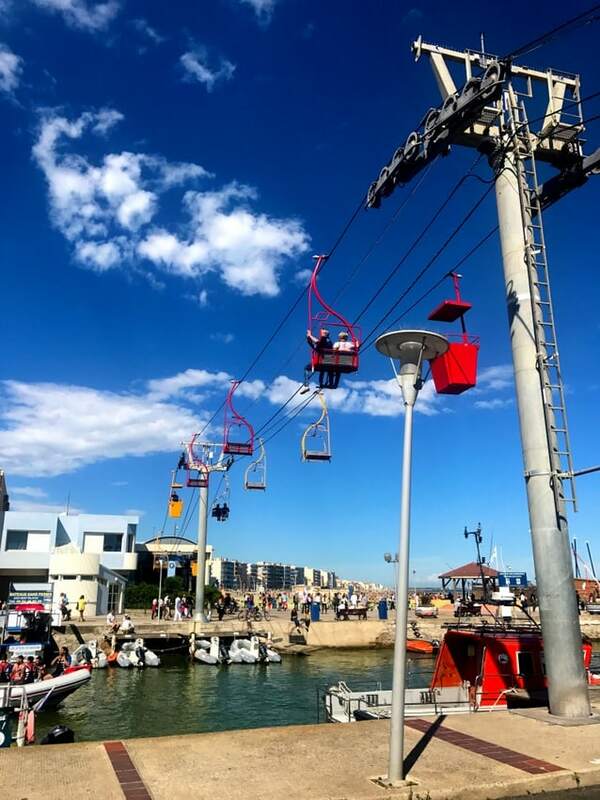 There’s even a colorful 83-meter chairlift called the Transcanal that takes you across Le Lez. If museums are more your thing, be sure to stop by their steam train museum or the town’s other museum featuring Albert Dubout’s cartoon drawings. We spent the afternoon here while waiting for the bridge to go up and sampled some Muscat de Frontignan and other wines from the region at a regional products shop a stone’s throw from where we were docked. The Canal du Rhône à Sète is what separates the town center from the beach area, and the stretch along the canal before the bridge is quite a sight with beautifully colored boats. We stayed in the lively little fishing port for the night and treated ourselves to a meal at a local seafood restaurant overlooking the water. While here, you can visit the Eco-Site, a marine research center that’s home to Europe’s first fish farm. Over a third of the population depends on fishing for their livelihood although in recent years, tourism has been picking up. 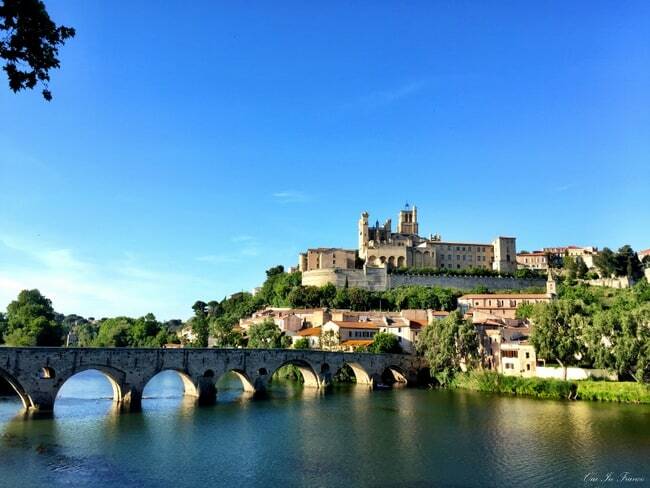 Béziers was the biggest town we stopped in on our France canal cruise and my least favorite stop of the trip — but not for a lack of beautiful scenery. The fun of a canal trip for me is exploring the small towns and Béziers had a lot going on. 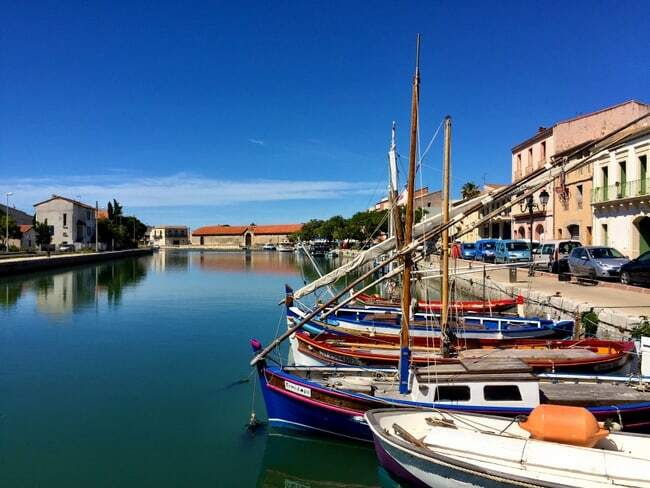 The former canal port of Capestang might have been my favorite stop of the whole trip. 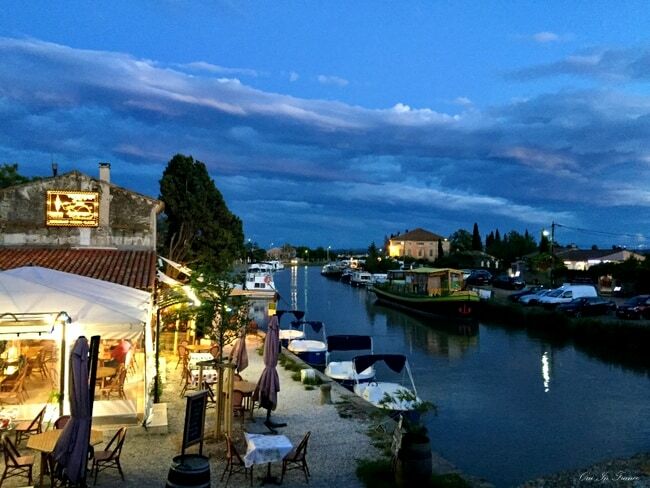 The picturesque Canal du Midi that passes through lined with boats, the charming little town center complete with a trompe-l’œil, the excellent rosé wine we got in the tourism office from a local producer — it all just worked. This little village, home to just a couple of thousand people, is surrounded by vines on the canal side and has a tumultuous past. 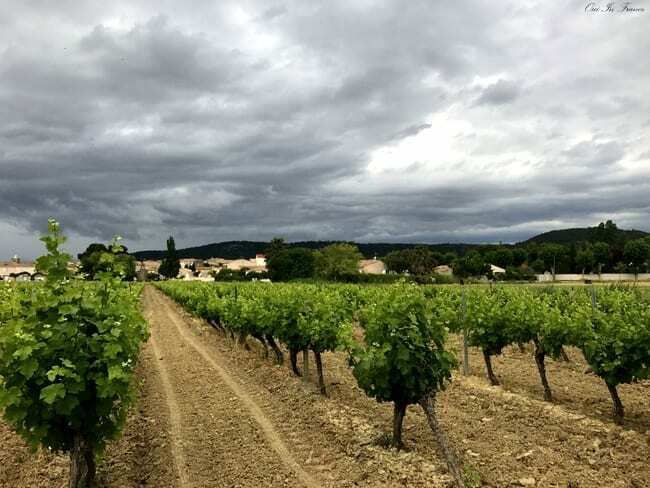 In the early 20th century, wines of southern France were threatened by outside wines and other spirits and the wine growers revolted! We didn’t get to see or learn much more because it started raining late in the afternoon when we docked. Next time! We were the only people around the day we docked in the little village of Paraza for lunch. It’s picture-perfect — mostly residential — and is home to the Paraza Chateau, where you can taste excellent wines and visit the vineyards and cellars. 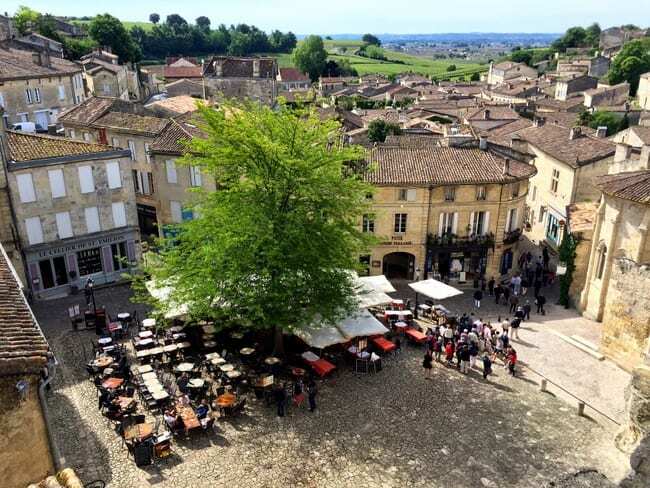 Le Somail ties with Capestang for the prettiest town of our trip! The stone bridge was adorned with colorful flowers and the restaurants along the canal were proud to serve fresh, locally sourced food. I also got one of the best croissants of my life at the floating epicerie La Peniche Epiciere du Somail. 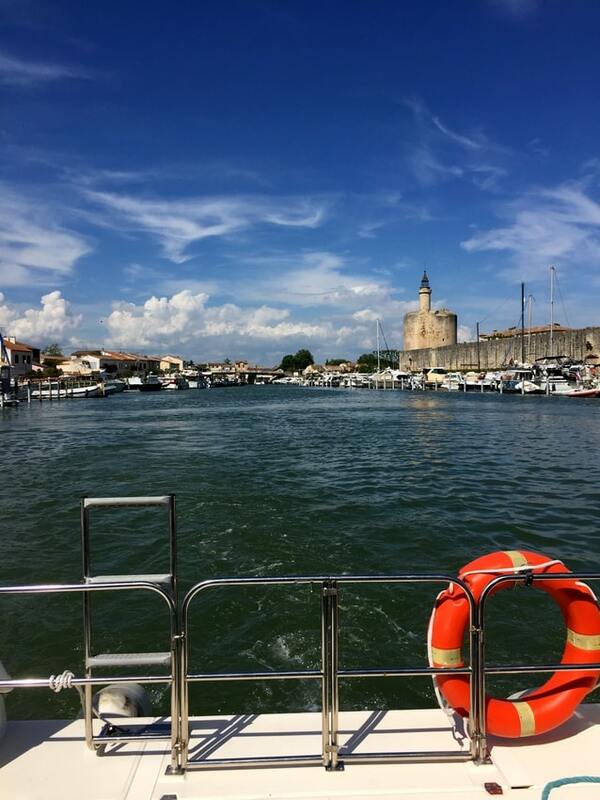 Hope that gave you some insight into our lively canal cruise route from The Camargue to the Canal du Midi! I can’t recommend Nicols enough! Have you ever been on a France canal cruise? Want more? 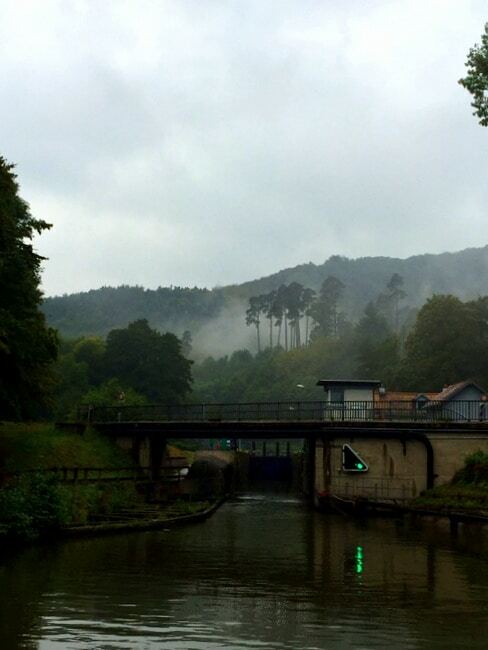 Be sure to check out my write-up on our first canal cruise in Alsace here! Great photos. There are so many cute villages along the canal. 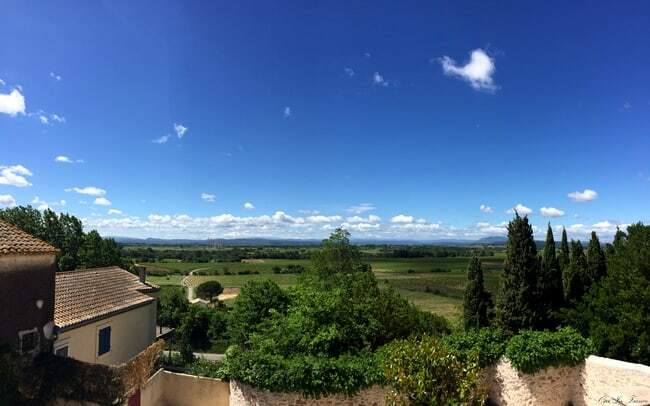 Did you see the article in Condé Nast Traveler about Languedoc? 2 more weeks to go and I will be back to France for the summer (or part of it). Paris, Tours, and Montpellier + of course some time in Germany. All posts about the Canal du Midi inspired me to try it with family, thanks again Diane! Awesome, I bet you’re counting down the seconds!! Is this the trip where you’ll make a stopover in Iceland? You’ll have to let me know about that! So happy you enjoyed the video. One of my goals is to learn video editing, so I had fun with it. 😉 Absolutely look into a Canal du Midi cruise. The area is incredible! 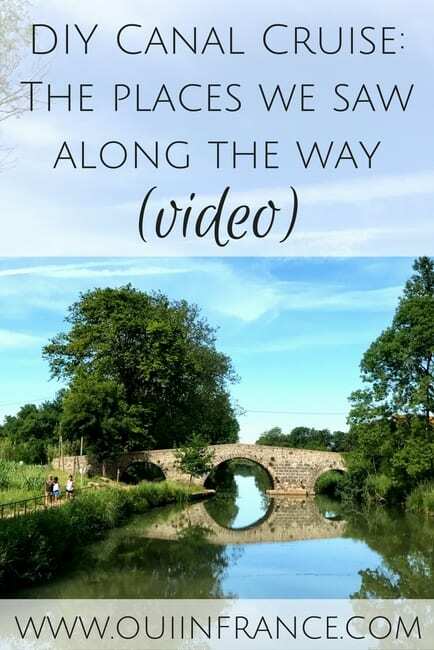 Great video Diane, and looks like it was a wonderful trip! Before this, I had no idea there was such a vacation option. Now I think I’d really like to try it. The areas you traveled through look beautiful and very diverse. And DIY – wow. Thank you for sharing your experience and all the facts! Thank you! It really was incredible! The boat is really well equipped (radio and TV too) and when you split the cost between a few families, it really is affordable! Loved your video, your camera skills are great! The Canal at the start of your trip looks quite wide open. Was that daunting at all? I love the Canal and we were in the area this spring staying near Le Somail. Did you eat at Le Comptoir Nature? Thanks so much, Amelia! Trying to get into video more so this trip was the perfect opportunity! The wide part of the canal was well marked with buoys but to make sure we were heading the right way, we put the town in our phone’s gps. It was wide open but not busy at all so even if we had veered too far left, it was no big deal to correct! I am blanking on the name of the place we ate at in Le Somail. I think there was “auberge” in the name. Le Comptoir Nature was next door I think.